The age of a home can vary wildly, with some homes still sturdy after more than a century of use while others have just been completed and hope to still be around many decades from now. One of the dangers in homes that may only have been built roughly 35 years ago is the presence of cast iron sewer pipes that can develop a sewer leak. In this article, we’ll show you the difference between cast iron pipe repair vs. pipe replacement. This used to be the standard form of piping, primarily because of the ability of the pipes to withstand decades of regular wear-and-tear. They were phased out and eventually disappeared by the mid-1980’s when it came to the building of any new houses. Now, cheaper options like plastic ABS and PVC pipe are the choice of builders. 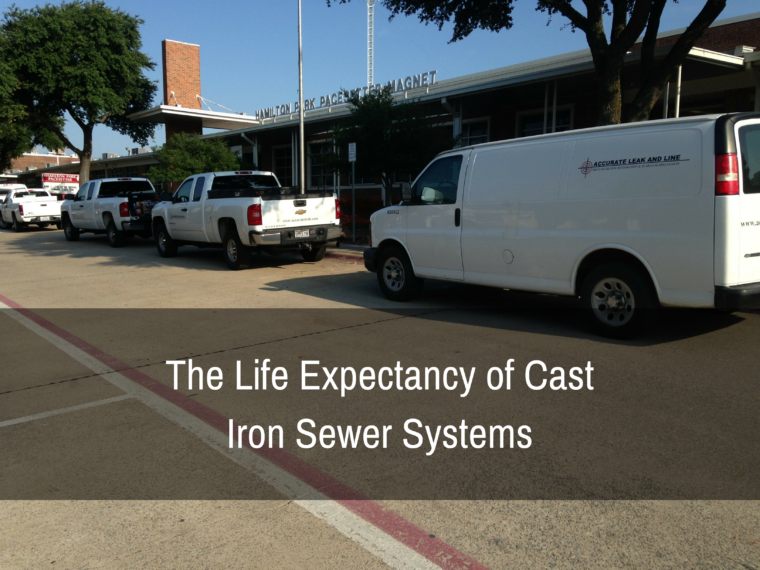 There is some difference when it comes to assessing the life span of cast iron sewer pipes since more conservative estimates peg the range at anywhere from 50 to 65 years. More optimistic sources bump those numbers up to roughly 75 years, with some lasting a full century. In short, these pipes were effectively made to last. Signs of clear deterioration for these pipes might start to take hold as quickly as 40 years into their use. Areas that see plenty of moisture also put the lifespan of these items in danger, which ultimately leads to cast iron sewer pipe replacement. When having home inspections conducted, the placement of these pipes is so far below that assessing their quality is often impossible. For those thinking of purchasing such a home or in the process of selling it, there tend to be differing considerations. For those wanting to buy, the preference would undoubtedly be cast iron sewer pipe replacement, since that allows for a fresh start when it comes to that aforementioned lifespan. The seller might be content with the idea of repairing cast iron sewer pipe to address the issue. However, there’s a possibility that the selling price can be enhanced by undertaking a replacement of the cast iron sewer pipe since the investment made there can ultimately be paid back with that higher price. When it comes to replacement or repairing cast iron sewer pipe, there are clear warning signs that this is on the horizon. If distinctive odors are detected, the toilet isn’t flushing right or drain is getting clogged, it’s pretty evident that cast iron sewer pipe repair will be the minimum required. 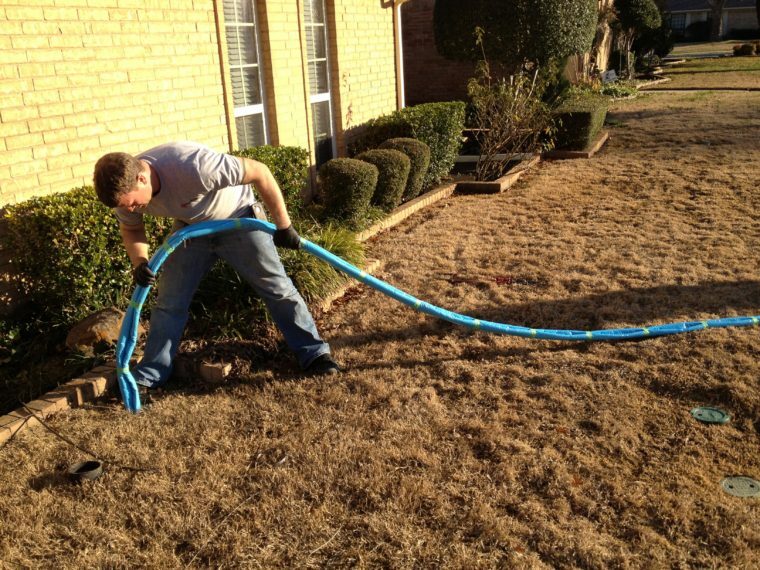 One of the problems that come about with regard to cast iron sewer pipe repair and replacement is that they aren’t simply something that any pipe fitter can handle. This option requires someone with experience performing the task and gives another reason why some pipes of this nature have lasted longer than others. Accurate Leak and Line offers both traditional and trenchless plumbing repair that can address a sewer leak as quickly as possible. The job might involve cast iron pipe repair or an outright cast iron sewer pipe replacement, but our experienced staff can handle the job, so give us a call today.